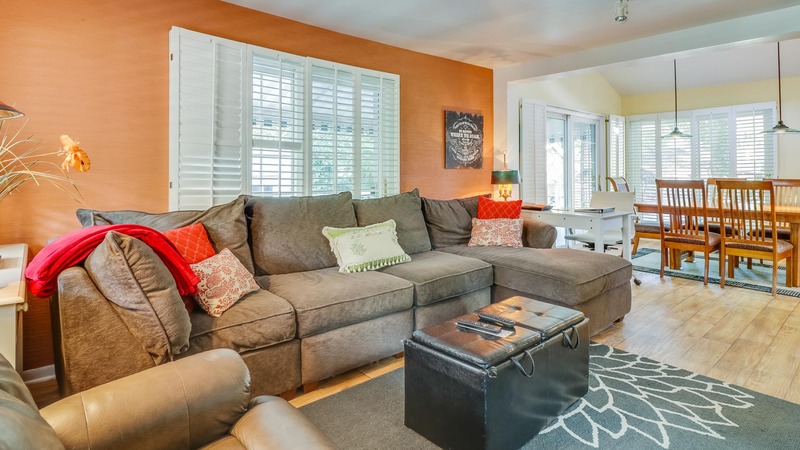 Cozy Hideaway is a quaint two-bedroom in downtown Saugatuck. 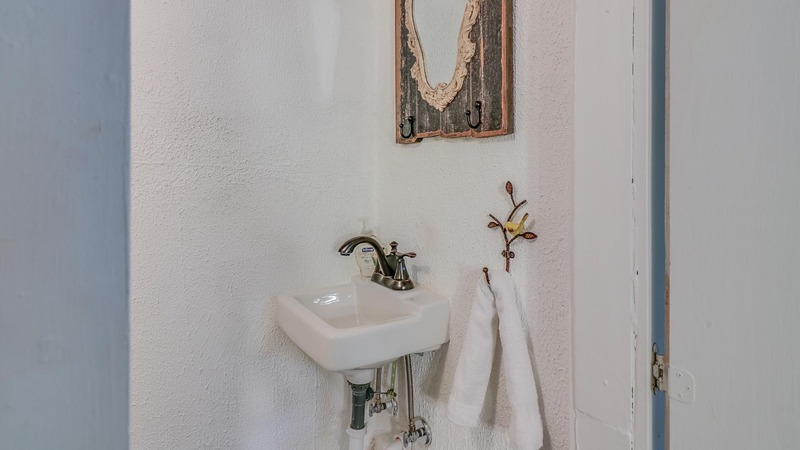 Did we mention it is quaint? 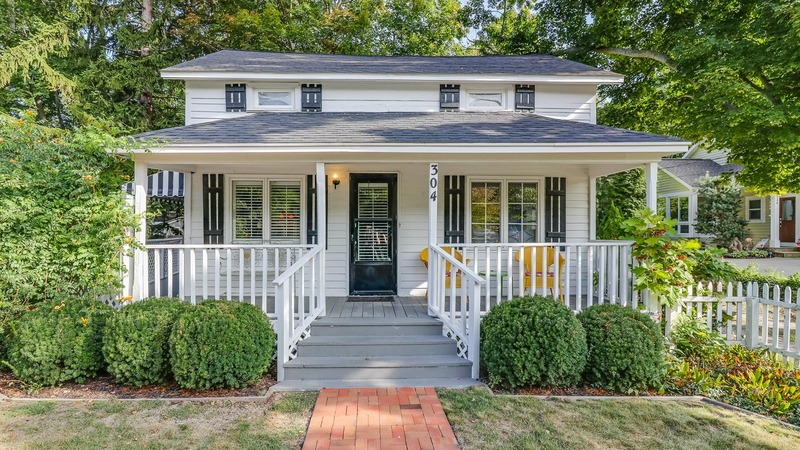 Complete with a white picket fence. 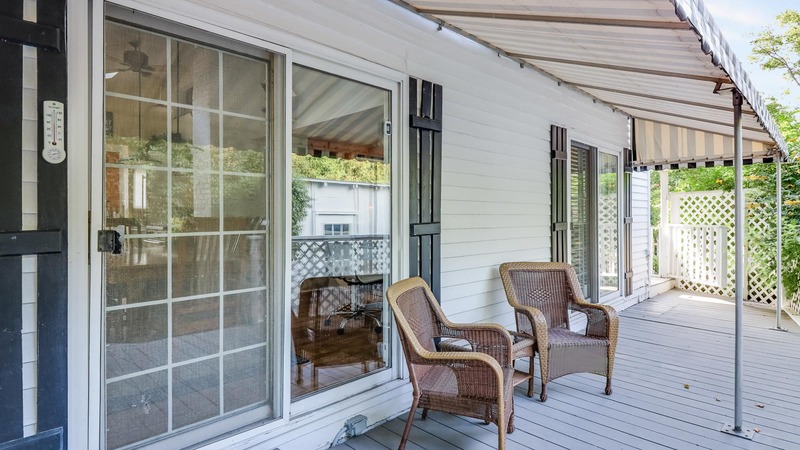 The back deck is a peaceful sanctuary. 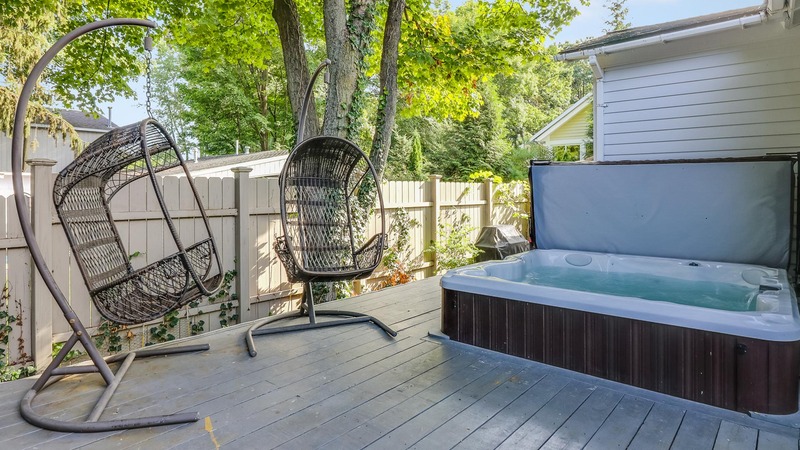 Relax in the hot tub on the back deck. Or kick back in a comfortable chair. 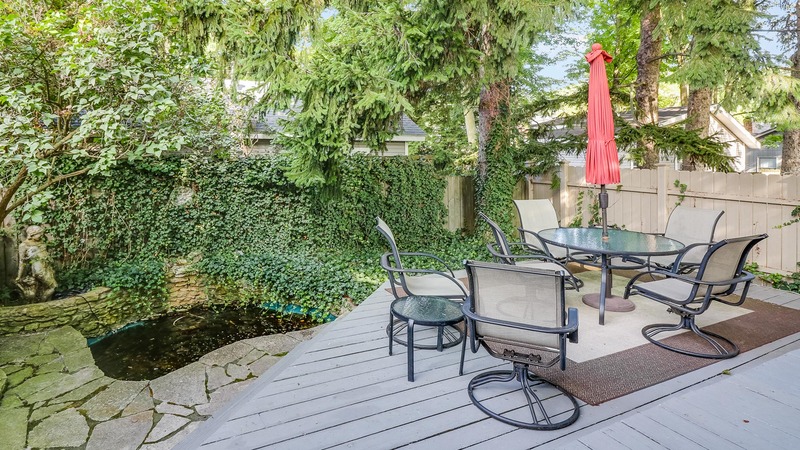 There are so many ways to relax on this deck. 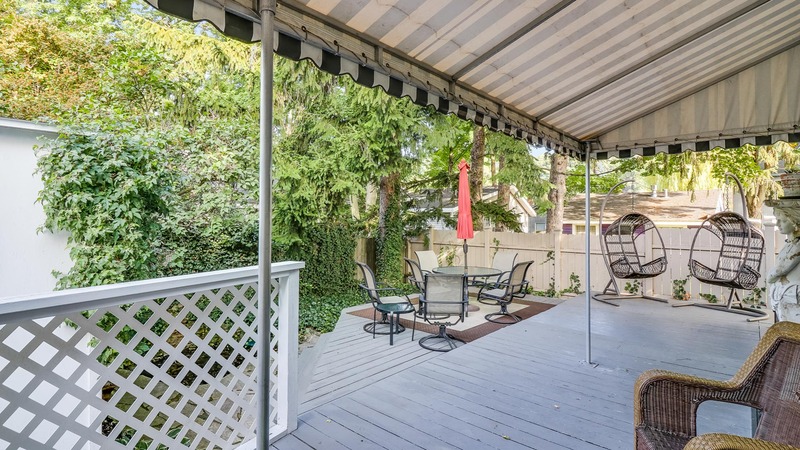 A striped cabana adds shade and whimsy to the back deck. Another view of the backyard sanctuary. Ivy spills over the walls into the water garden. 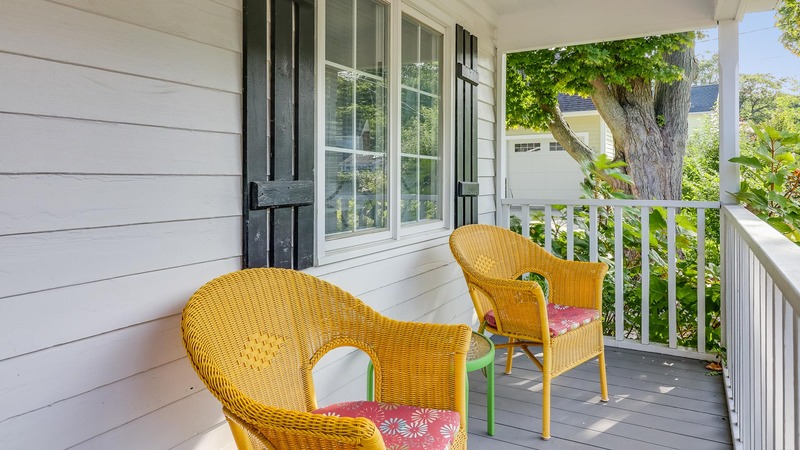 The front porch is a great place to spend the morning. 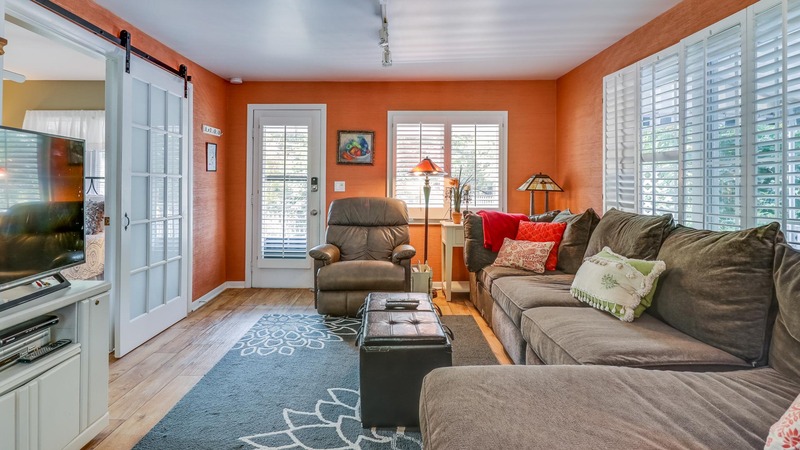 The welcoming living room has plenty of comfortable seating. 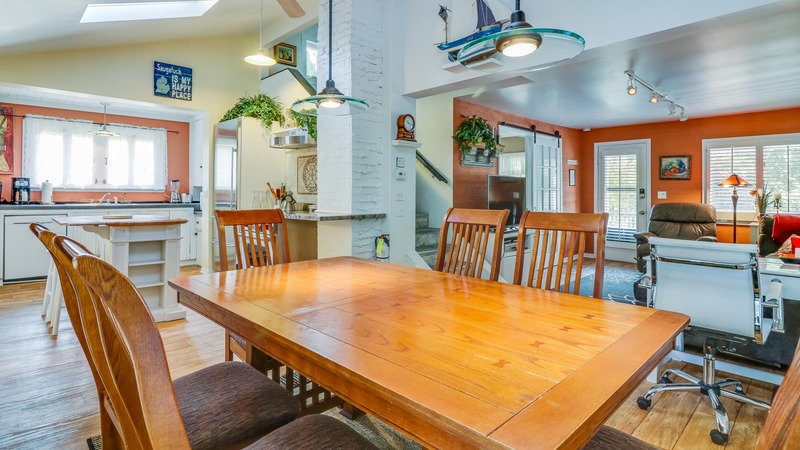 There is no shortage of natural light in this open home. 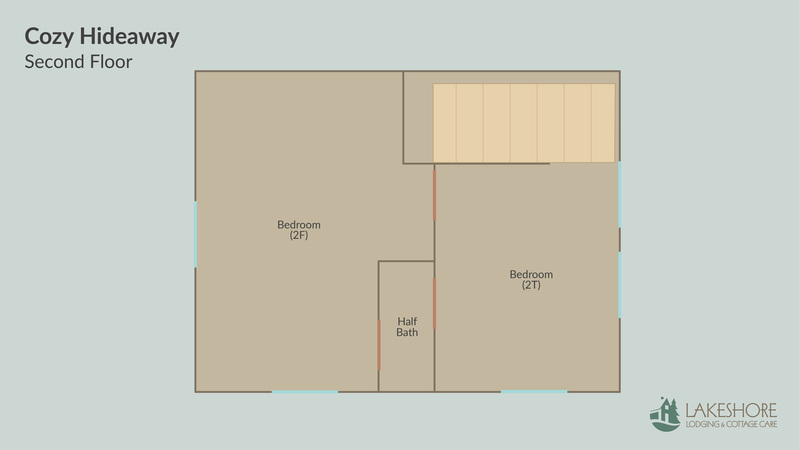 The master bedroom has a queen-size bed. 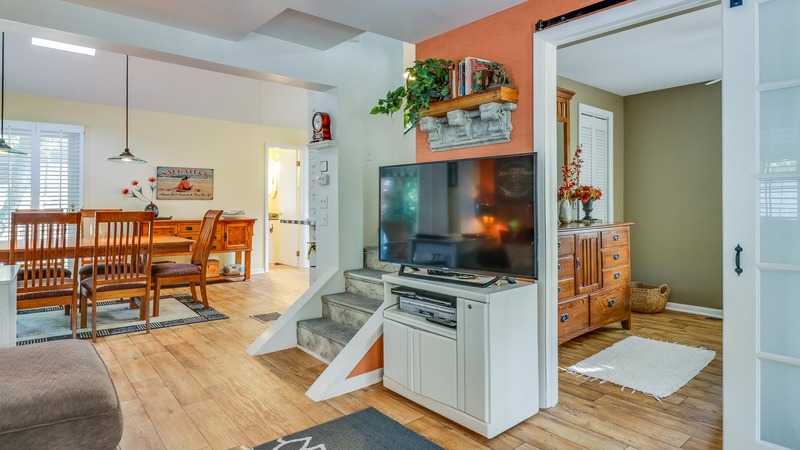 It connects with the living room by double glass-paned doors. The dining table seats six. 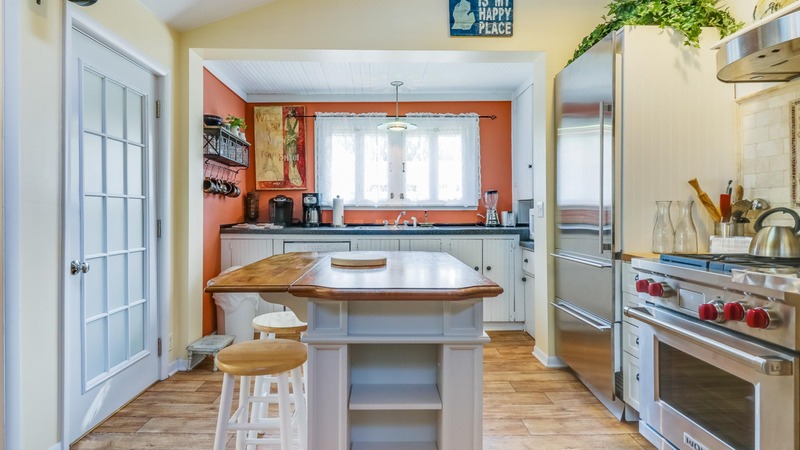 The kitchen features a breakfast bar with two stools. 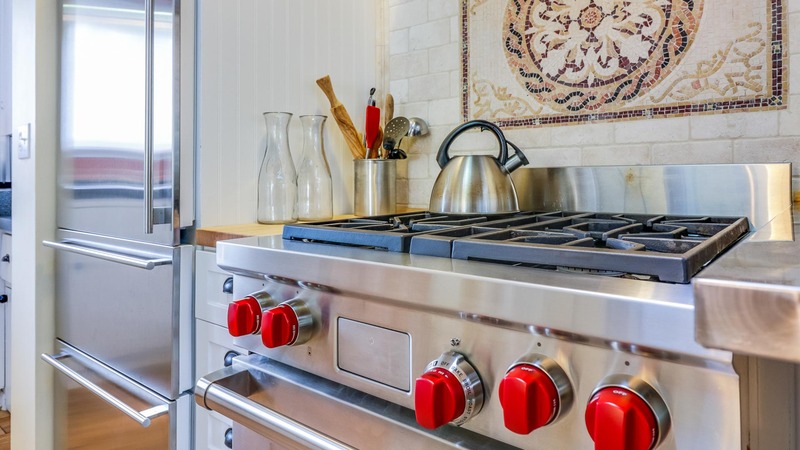 It is equipped with gorgeous stainless steel gas-range stove. Some decorative mugs for your morning cuppa. 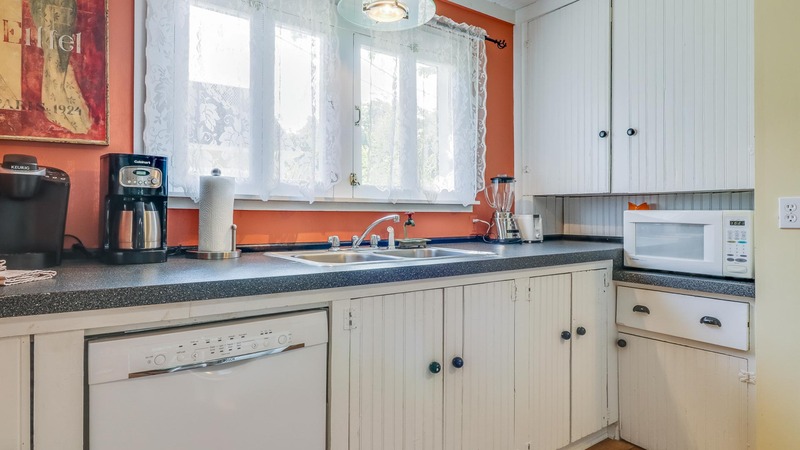 Beadboard cabinetry adds some character to the kitchen. 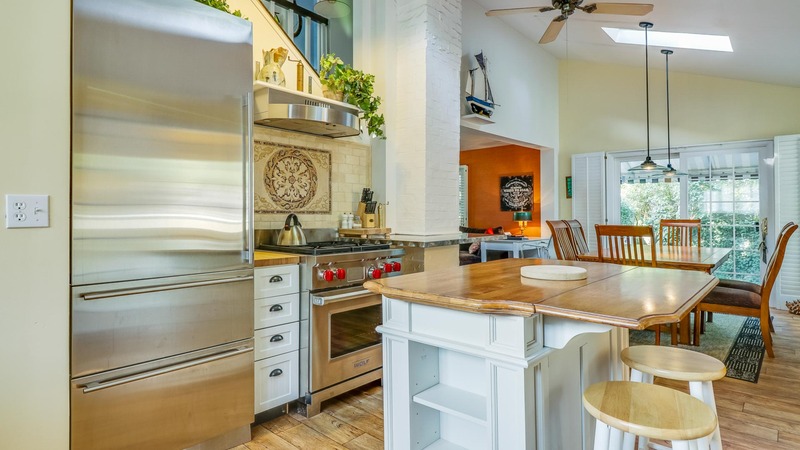 Picture yourself preparing an amazing breakfast right here. 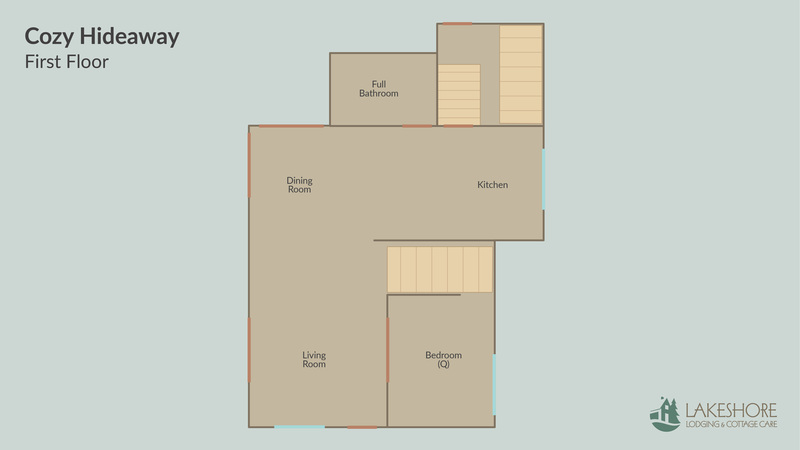 The first floor full bathroom with tub and shower. 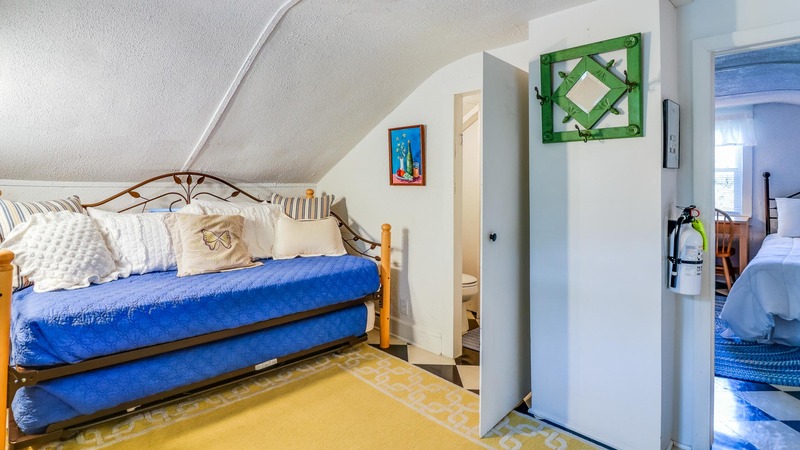 The second floor loft features a twin-sized trundle bed. 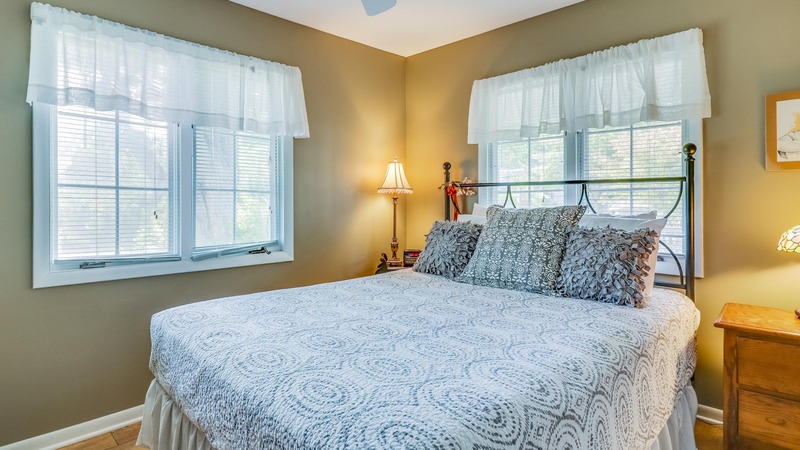 This guest bedroom connects with the loft and has two full beds. 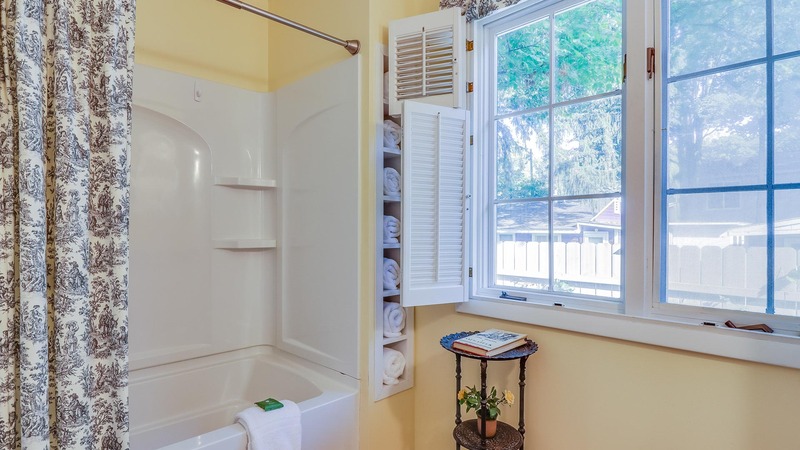 A small bathroom on the second floor loft. 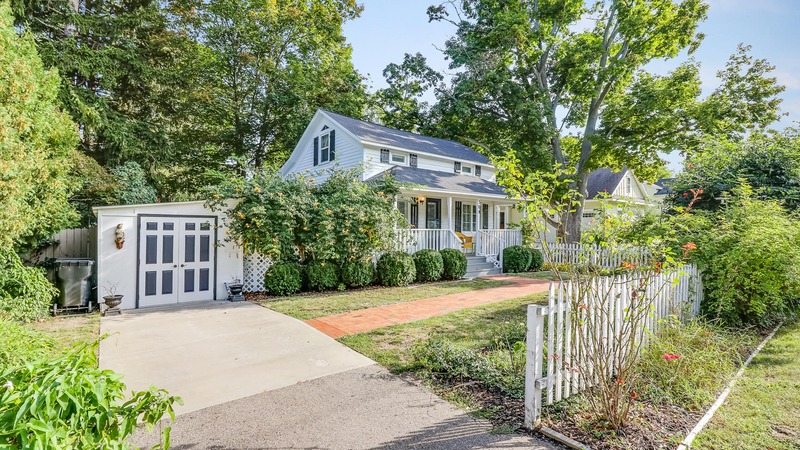 This petite cottage is located right in the excitement of downtown Saugatuck, but has the vibe of a relaxing escape. 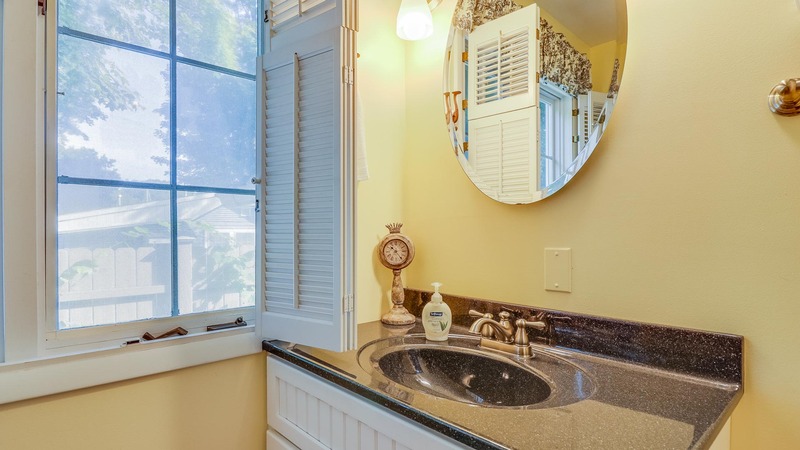 Guests can walk to all the great dining, shops and activities in town, or pack up the car for a quick trip to the area's great beaches. 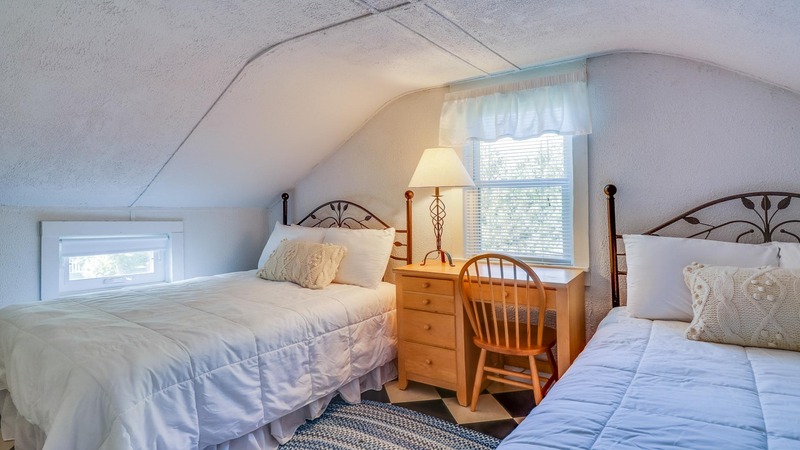 With sleeping arrangements for up to six, Cozy Hideaway is a perfect home for couples or families. 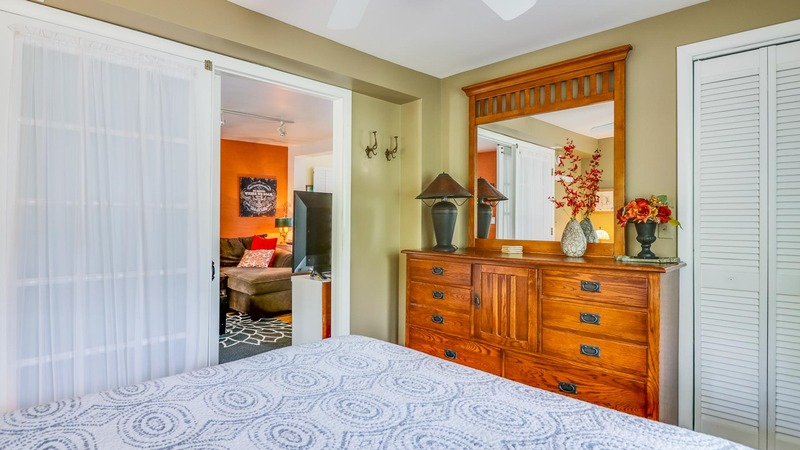 The home's open and brightly lit interior has a mood enhancing effect the moment you step inside. 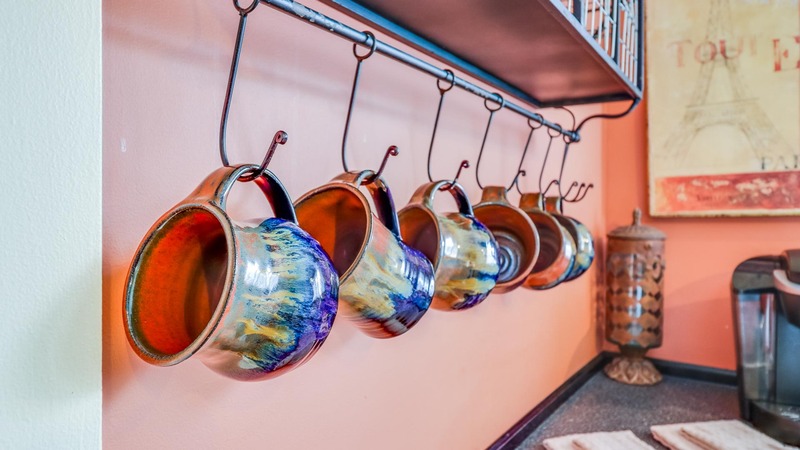 The fully equipped kitchen is a dream to prepare meals in. 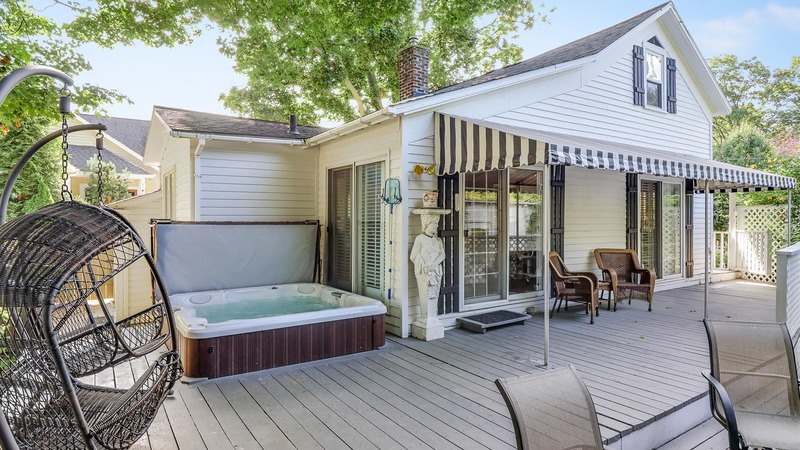 And with a hot tub that operates year round in the backyard, it's a welcoming in-town getaway in all seasons. 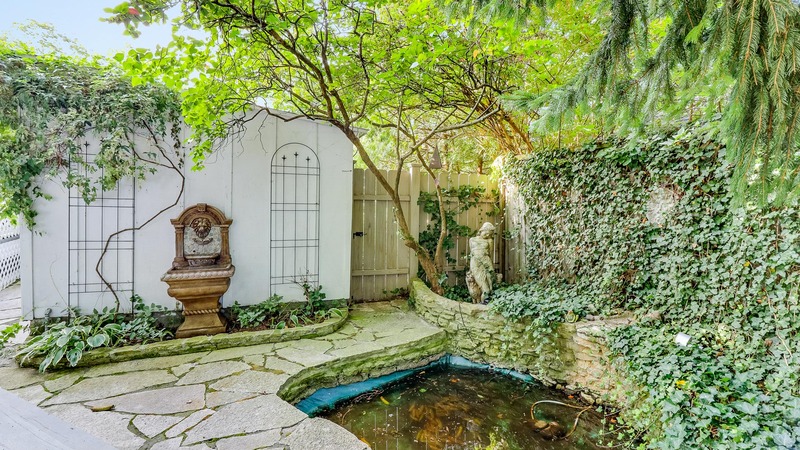 Perhaps the greatest draw for this home is its peaceful backyard sanctuary. Whether you're enjoying a meal or reading in solitude, time spent on the back deck will make you forget you're in town. Ivy spills over the fence into a calming water feature, making for some beautiful scenery. 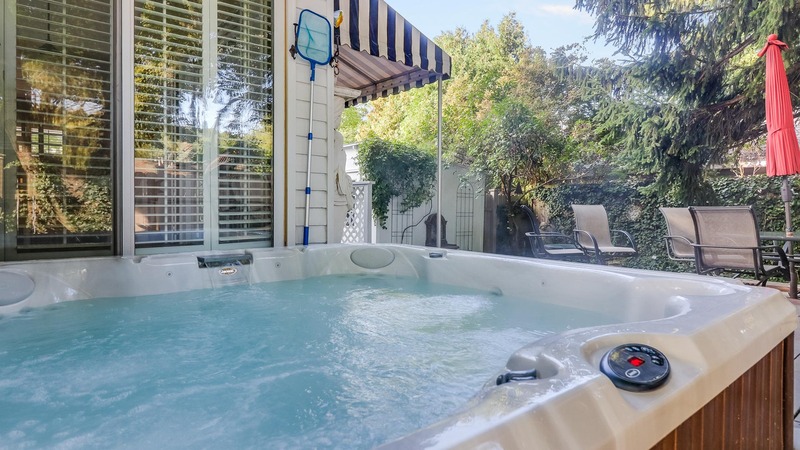 Enjoy it from any of the comfortable seating choices or while relaxing in the hot tub.